Welcome to New Traditions Home & Realty! We are Lincoln's Home builder! Whether you are building your first house, moving up, building your dream home or downsizing - we can help! 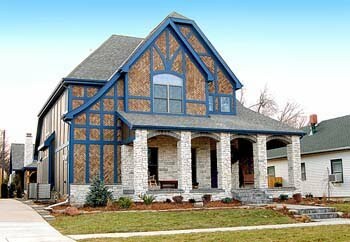 We have over 30 years experience building in the Lincoln market and have built over 2500 homes in that time. Customer Service! That is what is missing from many places these days. Remember how it was before outsourcing and automated answering machines? Perhaps you crave good old fashioned customer service too. At New Traditions serving you is #1. We will take the time to explain your options, answer your questions, and help you get financing. We will walk with you every step of the process. You will appreciate our organized, honest, and professional approach.